Our preferred product issuer CFD trading app includes full order ticket functionality, real-time charting with over 35 technical indicators and drawing tools. Our mobile trading platforms also provide a live market calendar with push alerts. You can choose to view data for ’All Traders’ with an open position in a product, or filter out the noise by switching to the 'Top Traders’ view to see data from only top clients who have made an overall profit on their account over the last three months. 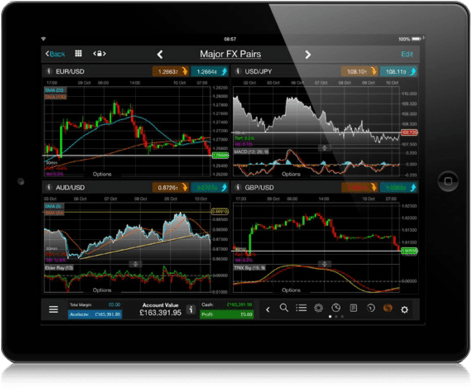 The combination of touchscreen technology of the iPad with the ‘Next Generation’ trading platform features to provide the ultimate portable trading experience. 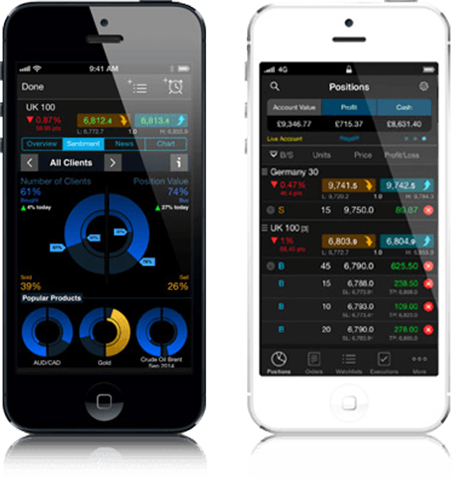 Make the most of the iPad’s bigger mobile screen with intuitive layouts, advanced trading tools and charting. 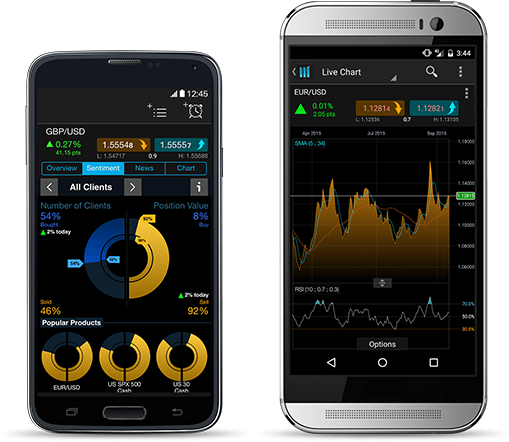 The ‘Next Generation’ platform provides a responsive Android phone and tablet mobile trading app that enables you to manage your open positions, view and trade on live streaming prices and create watchlists. Use over 35 technical indicators and drawing tools with full product search and order ticket functionality, track trader sentiment and more.